A weed is a plant out of place! Dandelion sure fits that definition! Dandelion is a perennial herb that forms a rosette in lawns and gardens. Inflorescence composed of yellow ray florets that give rise to a “puffball” head. New plants germinate primarily in the fall (late September). 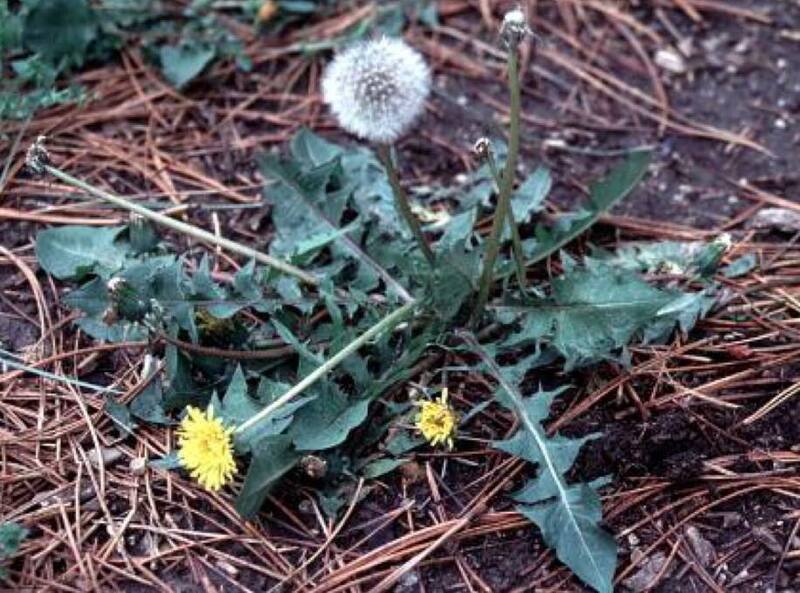 Mid-October and November is the most effective time to control broadleaf weeds, including dandelions in lawns. Dandelion usually produces a flush of new plants in late September. These young plants are small and easily controlled with herbicides such as 2,4-D or combination products (Trimec, Weed-B-Gon, Weed-Out) that contain 2,4-D, MCPP and Dicamba. 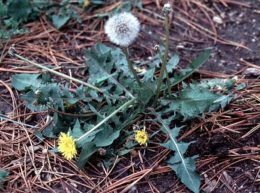 Even established dandelions are more easily controlled in the fall rather than in the spring because they are actively moving materials from the top portion of the plant to the roots. Herbicides will translocate to the roots as well and will kill the plant from the roots up. Be sure to choose a day that is 50 degrees or higher. The better the weed is growing, the more weed killer will be moved from the leaves to the roots. Cold temperatures will slow or stop this process. Weed Free Zone (also sold under the name of Speed Zone) contains the three active ingredients mentioned above plus carfentrazone. It gives a quicker response than the other products mentioned and will work better when temperatures drop below 50 degrees. 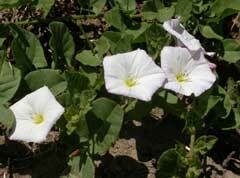 We often don’t think of weed control occurring in the fall of the year. 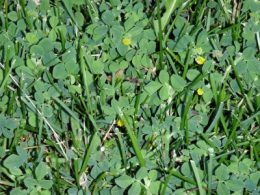 Some weeds need to be treated in the spring such as crabgrass. 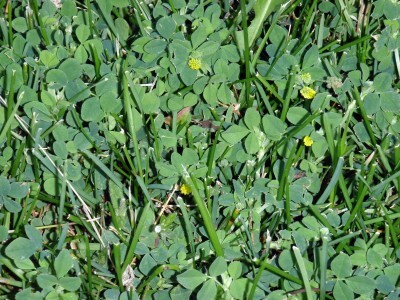 Late October to early November is the most effective time to control broadleaf weeds in lawns. 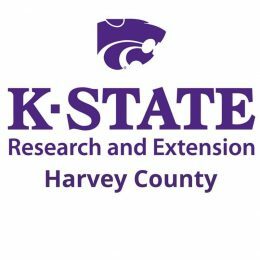 Dandelions usually produce a flush of new plants in late September, and the winter annual weeds henbit and chickweed should have germinated in October. These young plants are small and easily controlled with herbicides such as 2,4-D or combination products (Trimec, Weed-B-Gon, Weed-Out) that contain 2,4-D, MCPP and Dicamba. Even established dandelions are more easily controlled now than in the spring because they are actively moving materials from the top portion of the plant to the roots in the fall. Herbicides will translocate to the roots as well and will kill the plant from the roots up. Choose a day that is 50 degrees or higher. The better the weed is growing, the more weed killer will be moved from the leaves to the roots. Cold temperatures will slow or stop this process. Weed Free Zone (also sold under the name of Speed Zone) contains the three active ingredients mentioned above, plus carfentrazone. It will give a quicker response than the other products mentioned especially as temperatures approach 50 degrees.